For more information about Arterial Management operations and performance, visit our Open Data and Performance Hub. Pedestrian hybrid beaconss are pedestrian-activated warning devices which help pedestrians safely cross major roadways where there isn't a traffic signal. Real-time video feeds from traffic cameras strategically placed around Austin are monitored by staff at the City's Transportation Management Center (TMC). Traffic cameras allow the City to monitor traffic patterns so we can identify and address traffic problems quickly. Video from these cameras is not recorded unless there is a specific traffic issue or pattern that needs to be monitored. The Austin Transportation department also operates video detection cameras. These cameras are mounted at traffic signals to look for vehicles or bicycles waiting at a signal. Once the bike or vehicle is detected, the camera will send a message to the signal that a car or bike is waiting for the light to change. Detection cameras do not send video to the TMC for monitoring. The Transportation Management Center (TMC) is the City of Austin's headquarters for monitoring and managing traffic throughout the Austin area. The TMC is staffed seven days a week through peak travel times, and may be staffed continuously through large events. From the TMC, engineers and technicians monitor traffic patterns and adjust signal timing in response to traffic needs. 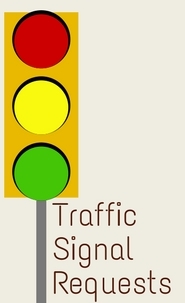 Crews may be dispatched from the TMC as needed to respond to downed or malfunctioning traffic signals. Travel time and volume sensors track the real-time roadway conditions of Austin’s major streets. This data can be used to inform signal timing changes and develop travel time trends to shape transportation planning.